After Reading festival Mike and I hung out in London for a few days before heading up North to Edinburgh. 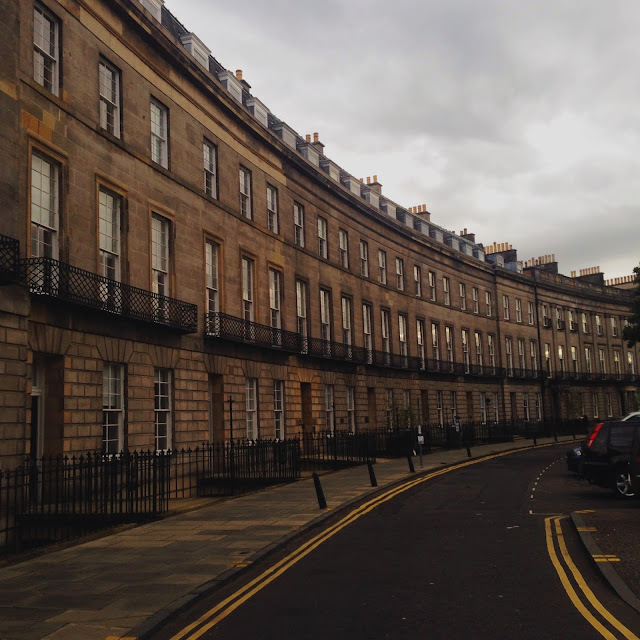 This was both of our first time to Scotland and I couldn't help but fall in love with Edinburgh's dramatic architecture, the history and it's influence on literature such as Harry Potter. I kept feeling like I was at Hogwarts as I walked through the city. Mike and I even checked out a few of the places that directly influenced to book series such as the graveyard where J.K Rowling got the names for characters such as Tom Riddle, James Potter and McGonagall. 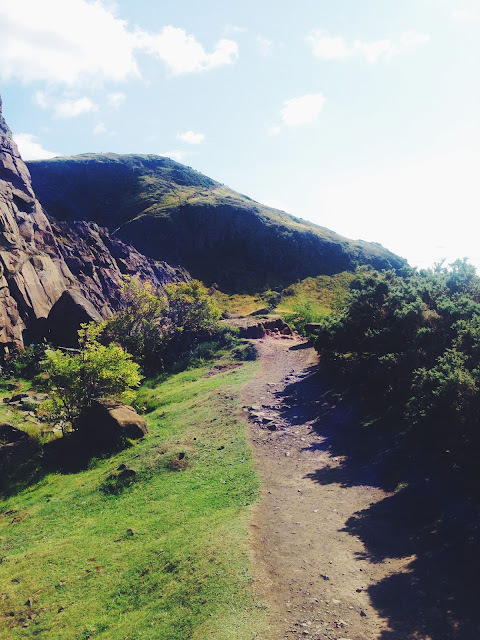 We also checked out the Edinburgh Castle, Monument Hill and we climbed Arthurs Seat. Needless to say we did a lot of walking and which I believe is the best way to see a city. I find it's the only way I am really able to get a proper feel for it. 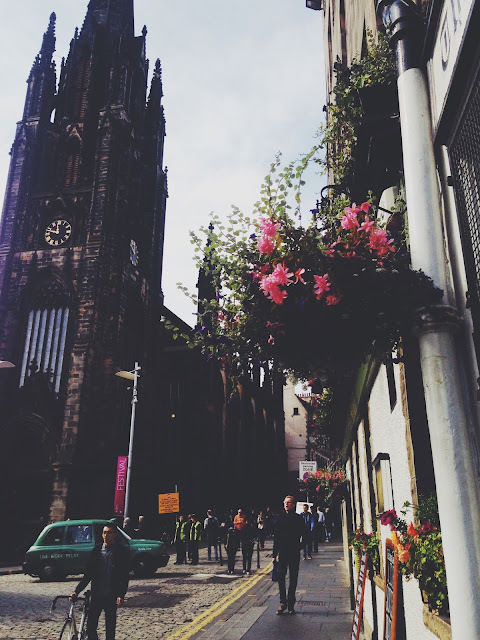 I had a great time in Edinburgh and it helped that we were lucky enough to have near perfect weather. Something we were told rarely happens in Scotland.